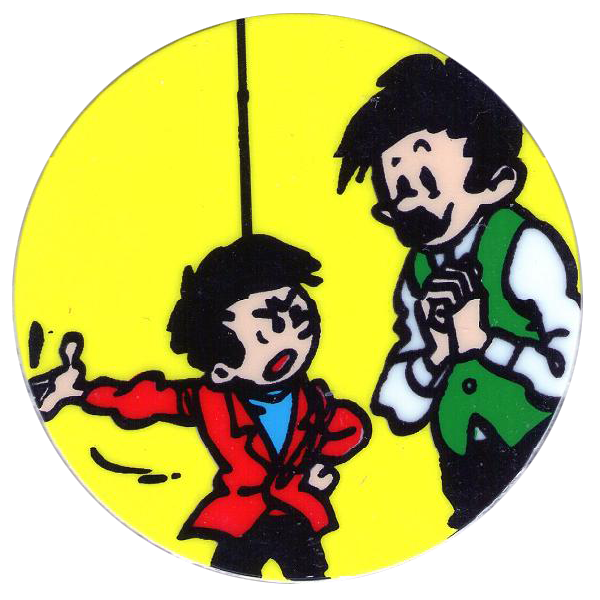 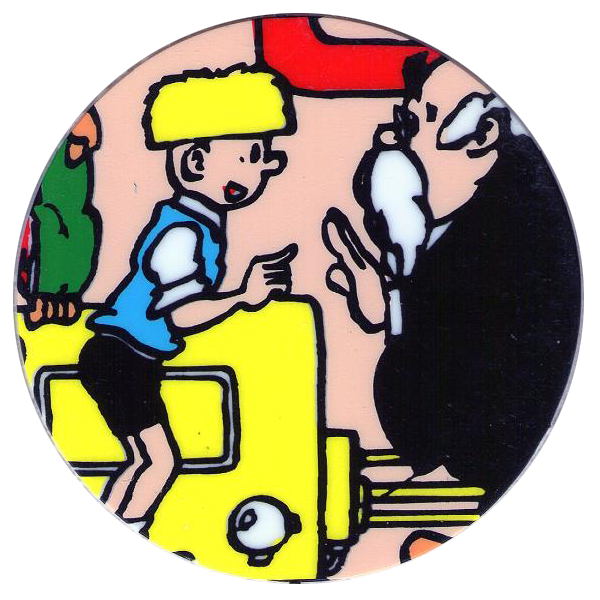 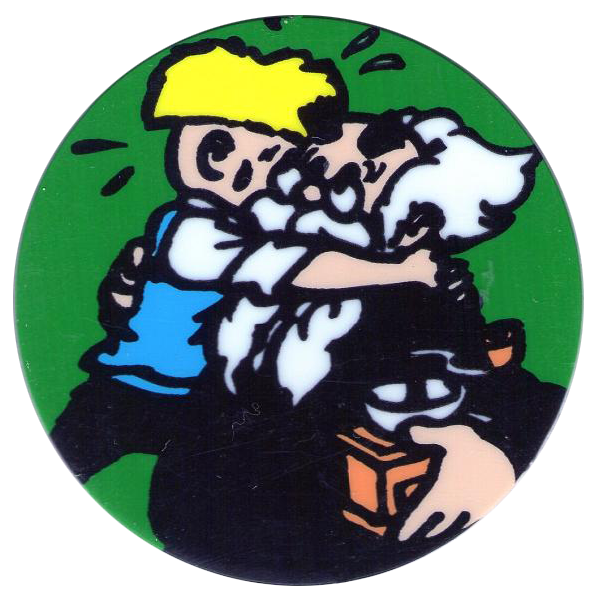 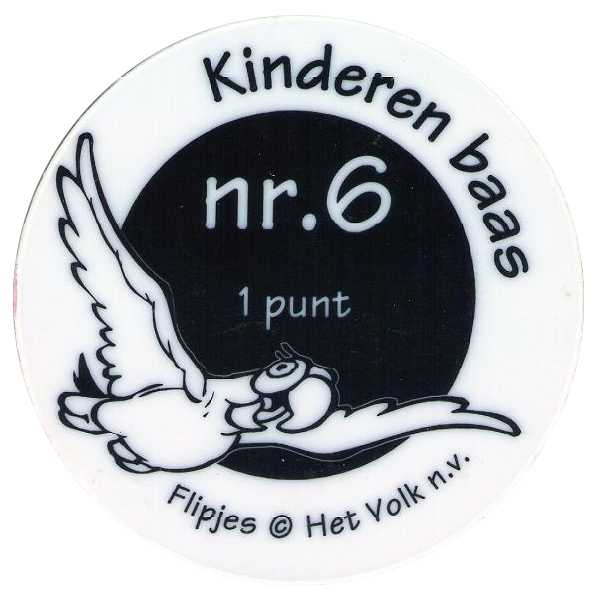 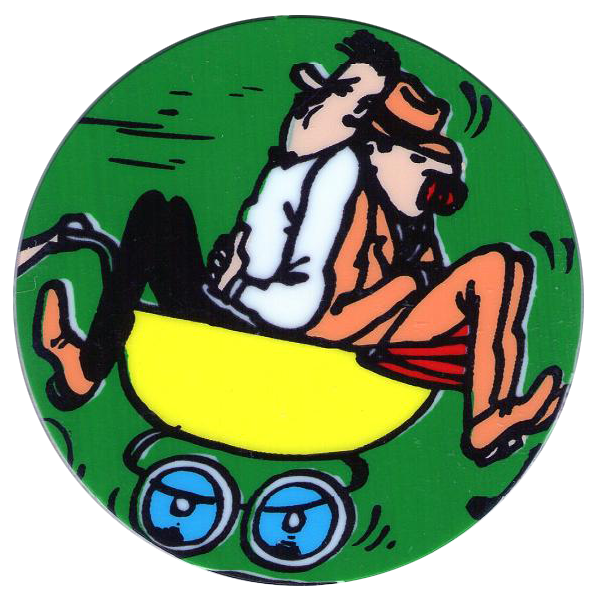 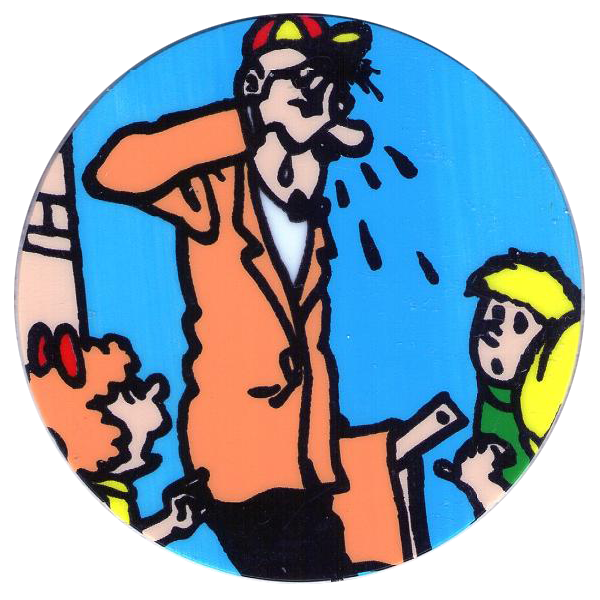 Info:This set of pogs features images from the Jommeke comic Kinderen baas (Boss children). 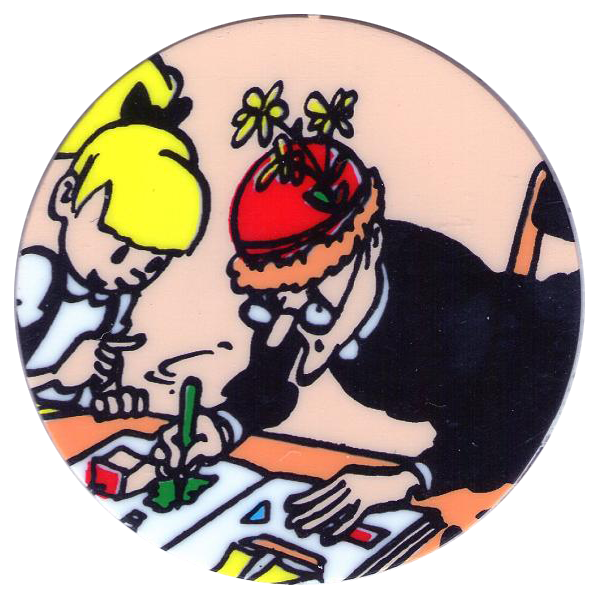 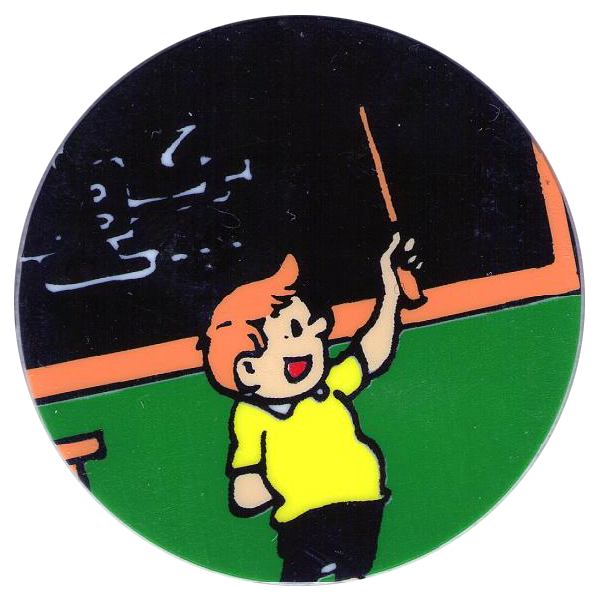 In this comic Professor Gobelijn invents a potion that makes children as clever as adults, so they won't have to go to school any more. 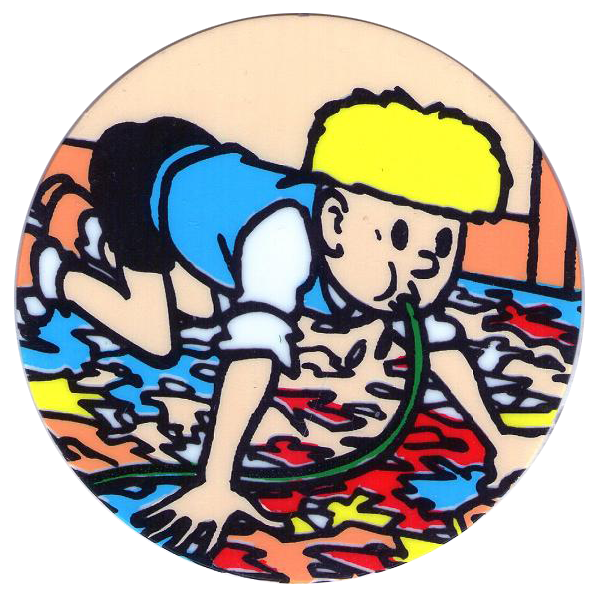 But after adding the potion to the town's water supply, it turns out that it also makes adults act like children. 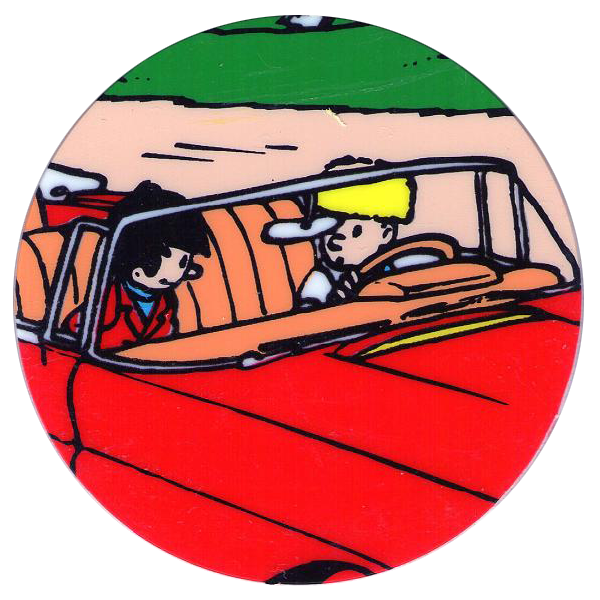 So Jommeke and his friends have to find a solution to the problem themselves.